Instagram is the perfect way to keep your family & friends in the loop. The app allows you to send instant messages and photos, so that you can let people know what’s going on in your life. The content of the caption is limited. It is therefore important for you to make the perfect pitch, if you want to have the desired effect on the people you’re sending it to. One of the great things about Instagram is that it allows you to follow up on a conversation, a joke, or even a brief exchange of comments that you had with someone. 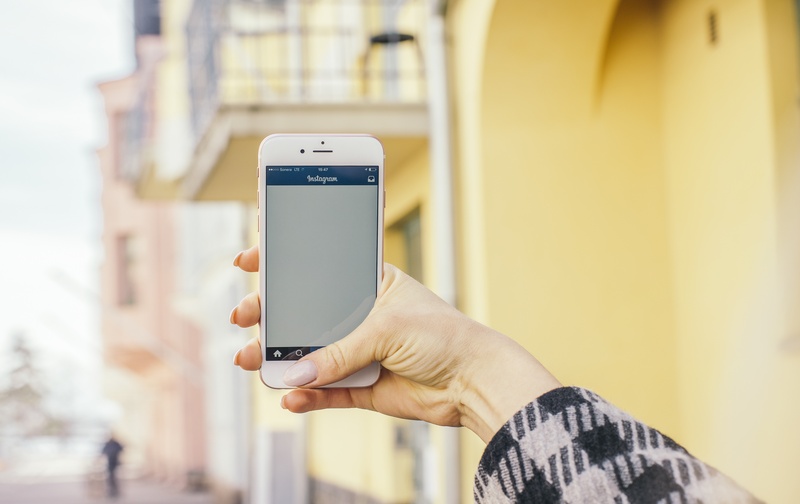 In order to get the most out of Instagram you must internalize a number of expressive habits. The first rule of thumb is to write several drafts first. Few people have the linguistic talent to write exactly what they mean to say in the first draft. The easiest way to be ignored and neglected on Instagram is to post boring photographs and mangle captions. Going through several drafts will allow you to come up with the perfect bit of verbiage. You might even want to poll co-workers or the friends you happen to be hanging out with to see if your caption does what you want it to do. As you may have noticed, Instagram cuts your feed off after three to four lines of text. Technically, the maximum word limit is 2,200 characters. But you don’t want to go anywhere near that number. That is why you should front load the important stuff. Instagram, as the name implies, is meant to be simple, direct, and succinct. If the point of sending out your message is to make a call to action, you may want to front load that. Hashtags on Instagram work the same as they do on Twitter. They direct various conversations on a subject into one stream of thought and expression. It is a bad idea to create a lot of different hashtags. You should limit yourself to four. As long as your Instagram account is public, the people who view your hashtags will also be able to view your posts. As in the case with Twitter, Instagram hashtags are a great way of binding together people who have interests in common. Ensure you put your hashtags at the end of your caption post. If you are an entrepreneur of any kind, you should use the fun, wit-filled, light-hearted tone of Instagram to promote your brand. Instagram is not the medium to go into heavy, jargon-laden business speak. It is the place to promote your brand in a way that is entertaining and interesting. People go to Instagram to recreate themselves, and they expect to find captions and images that are unusual, silly, and humorous. One of the best ways to meet people and grow your business is to show you have a sense of humour. You should definitely use emoji’s. The cartoonish images that express different emotions are meant to add a bit of colour and personality to Instagram captions. Using them is not a sign of immaturity; it is a sign of the times. People like a bit of show and theatre when they’re going through their various social media feeds. Even the global companies now use emoji’s when communicating through Instagram. You can put one either the beginning or at the end of your post. One of the best ways to build an audience is to cross-promote your various social media accounts. Something that you are able to only mention on Instagram may be more fully developed on your Facebook page or on your blog. You should include the addresses to both of these so that you can build up followers. You should be as brief as you can be. A sharp, pithy comment on Instagram is more likely to get you noticed and liked than long, drawn-out narratives. Indeed, most people who see the latter will not read it and may come to think of you as a rather boring person. The power of Instagram lies in its ability to give people like you the means to show their cleverness. Don’t squander the opportunity. Be simple and succinct.